October's PS Plus games are now available to download. Get Friday the 13th and Laser League along with 2064, The Bridge, Rocketbirds 2 and Master Reboot. Knowledge is Power is still available too. October is nearly here which means it's time for another PS Plus update. Free games next month include Friday the 13th and Laser League, both of which have had unfortunate development dramas. But they're worth a go for free! We listened to your feedback and have made changes accordingly. As such, this means that this will be the final layout for the Store Roundup. While people did not chime in with their preferences on the North America store roundup last week, the verdict from Europe means that this will be the final layout for the Store Roundup. 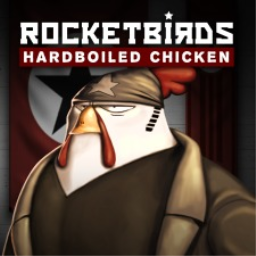 The first Rocketbirds game with trophies was Rocketbirds: Hardboiled Chicken, which was developed and published by Ratloop Asia and released on 18 October 2011. 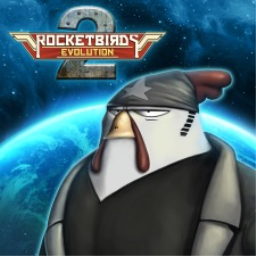 Since then there has been 1 more game in the series with trophies - Rocketbirds 2: Evolution which was developed and published by Ratloop Asia and released on 26 April 2016.